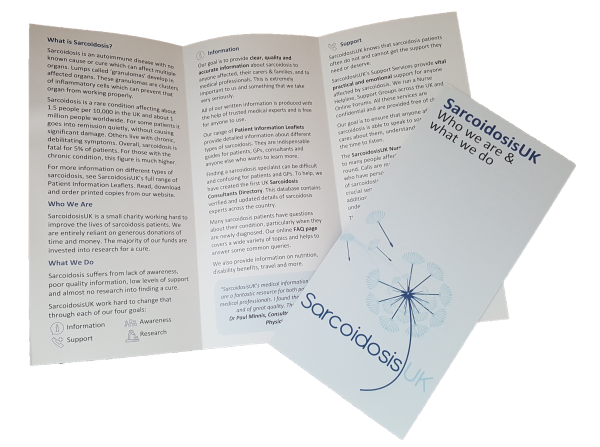 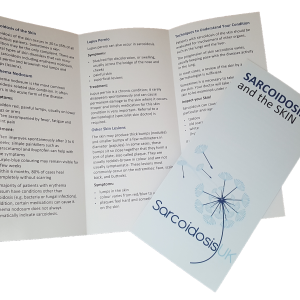 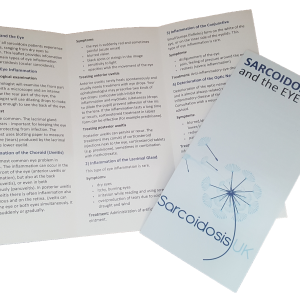 This leaflet is perfect for anyone wanting to learn more about SarcoidosisUK and the work we do. 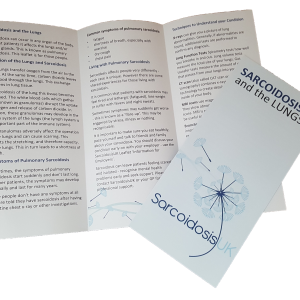 Sarcoidosis is a rare and often confusing disease with no known cause or cure. 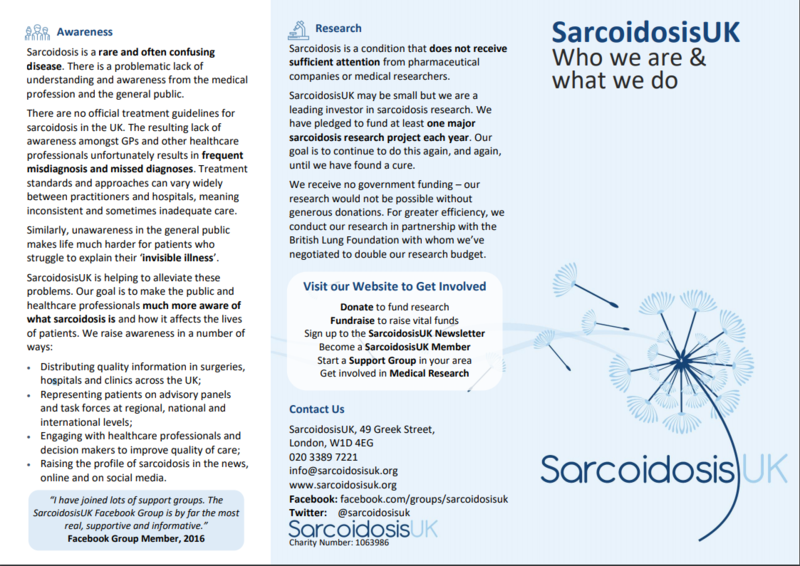 SarcoidosisUK are working to change that. 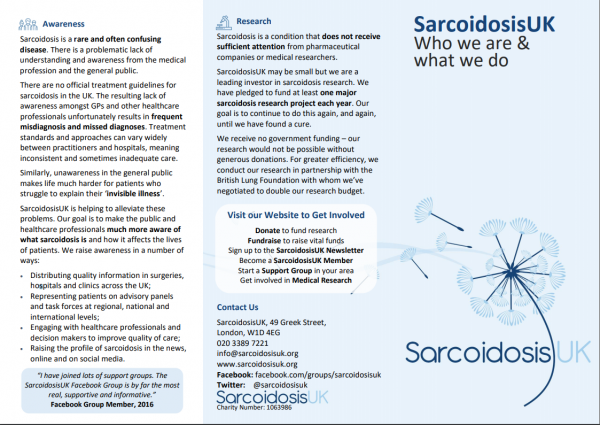 This leaflet explains more about the charity – who we are and what we do!